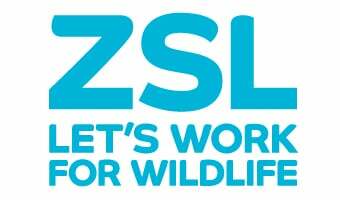 ZSL London Zoo is grateful to have received a very generous legacy gift which has helped us to improve some of our major exhibits and continue to play our role in introducing future generations to the splendour of wildlife and the importance of conservation. The kind donor was Delene Welch, an animal-loving former lawyer. Upon retiring, Delene volunteered her free time as a Learning Volunteer at ZSL London Zoo. She spent one day a week volunteering at the Zoo for 12 years. When Delene wrote her Will she wanted more than anything to leave an enduring gift to the animals at the Zoo. So Delene left the bulk of her estate to ZSL London Zoo to be used ‘for the benefit of the animals’ and divided the rest among friends, relatives and an animal home. Her wonderful gift went a long way and helped contribute towards three exhibits at the Zoo: Clore Rainforest Lookout, Into Africa and Gorilla Kingdom. Clore Rainforest Lookout recreates the South American rainforest and brings down the barriers between animals and visitors. It also includes the Nightzone, a darkened section, which provides an insight into nocturnal rainforest life. Into Africa benefited from an increased number of species on view and new African animals such as the African hunting dogs and zebras. The site was also softened with African habitat planting. Gorilla Kingdom houses a group of western lowland gorillas within a forest setting. Visitors are able to get close to the gorillas with large windows forming the side of the enclosure. The exhibit also showcases ZSL’s conservation and field research work with gorillas in Gabon and the Democratic Republic of Congo, showing how our work in the field is helping to conserve these magnificent animals.